Solar physicists Galina Mashnich and Vladimir Bashkirtsev, of the Institute of Solar-Terrestrial Physics of the Siberian Division of the Russian Academy of Sciences, believe the climate is driven by the sun and predict global cooling will soon occur. The two scientists are so convinced that global temperatures will cool within the next decade they have placed a $10,000 wager with a UK scientist to prove their certainty. 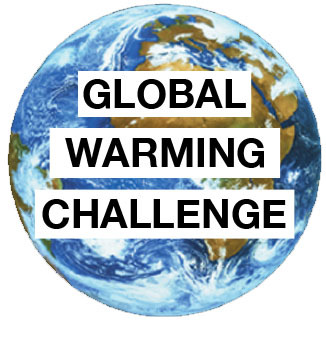 The criteria for the $10,000 bet will be to “compare global temperatures between 1998 and 2003 with those between 2012 and 2017. The loser will pay up in 2018,” according to an April 16, 2007 article in Live Science. When the situation is complex and there is uncertainty about causal relationships, forecasting principle 6.6 dictates that forecasters should “Use few variables and simple relationships”. The opposite approach was used in the Intergovernmental Panel of Climate Change models, and there have been calls (1 , 2) for even more money to enable modelers to create models that are even more complex. Patrick Frank, in an article in Skeptic (2008, 14:1) titled “A climate of belief”, showed that a very simple model with CO2 as the only causal variable and using the IPCC assumptions about the direct and indirect effects of changes in atmospheric CO2 concentrations makes predictions of global average temperatures that are closer to the IPCC’s “ensemble average” of complex model forecasts than are those of any of the individual complex models. In other words, putting aside whether the forecasts are accurate or not, there is no need to have complex models in order to make those forecasts. Frank’s simple model illustrates part of the purpose of principle 6.6; namely to aid understanding and reduce forecasting costs. We aren’t sure what the cost of the complex relative to the simple modeling efforts were but, given the number of people and computer time involved in the complex models, a ratio of 1 million to 1 is a conservative guess. Frank’s simple model is simple enough for anyone to understand. That’s a good thing, because the modeler’s assumption are clear and can be tested and disputed, and the disputation can be understood by others. This makes it easier to reject a false model and thereby to advance scientific understanding. Thus the use of simple models reduces mistakes, another purpose of the principle. The primary purpose of many of the forecasting principles is naturally enough to improve accuracy; principle 6.6 is no exception. Frank demonstrates that the IPCC grossly under-reports the cumulative uncertainty of the model forecasts. The figure below from Frank’s article shows that, when proper allowance is made for uncertainty about the effects of clouds and greenhouse gases on global average temperatures, the complex IPCC models cannot legitimately tell us better than that the temperature change by the end of the century will be somewhere between +120-degrees-C and -120-degrees-C. It would be foolish indeed to base public policy on forecasts from such models. Patrick Frank’s article is available from the Skeptic site. Read this article and more at PublicPolicyForecasting.com. Using a subset of the mailing list of American Men and Women of Science, a who’s who of Science, Robinson mailed out his solicitations through the postal service, requesting signed petitions of those who agreed that Kyoto was a danger to humanity. The response rate was extraordinary, “much, much higher than anyone expected, much higher than you’d ordinarily expect,” he explained. He’s processed more than 31,000 at this point, more than 9,000 of them with PhDs, and has another 1,000 or so to go — most of them are already posted on a Web site at petitionproject.org. Why go to this immense effort all over again, when the press might well ignore the tens of thousands of scientists who are standing up against global warming alarmism? To read the full text of the petition and more about the project, please visit the Petition Project website. The site also includes the list of signers.